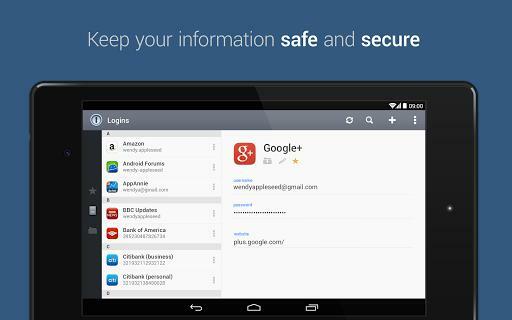 Try 1Password for free today and see for yourself why The Guardian ranks us as one of “The best Android apps of 2014”.1Password creates strong, unique passwords for every site, remembers them all for you, and logs you in with a single tap. It’s the best way to stay secure and the fastest way to use the web. All features free to try for 30 days to all new customers!